The participation in Intermach will be an opportunity for Versatronic Sul to show its expertise in maintenance services of electronic equipment and CNC machine motoring. The services provided features include the possibility of performing actual equipment testing along with the high technology applied to repair. Versatronic Sul provides CNC machine electronic equipment services, including all maintenance line of engines, spindles, actuations, drives, inverters, boards, videos, encoders and other peripherals. “Our services are provided by mechanic and electronic engineer team, continuously dedicated to technological updating and following market innovations”, says Fabio Siqueira, Versatronic Sul´s director. With solid market performance in equipment maintenance and machine motoring, the company services several fields. Versatronic Sul know-how applies to various market brands, including Siemens, Fanuc, Yaskawa, Romi, Okuma, SEM, Reliance, ABB, Mitsubishi, Voges, WEG, Danfoss, Fagor, Heidenhain, Fuji, Moeller and Schneider. 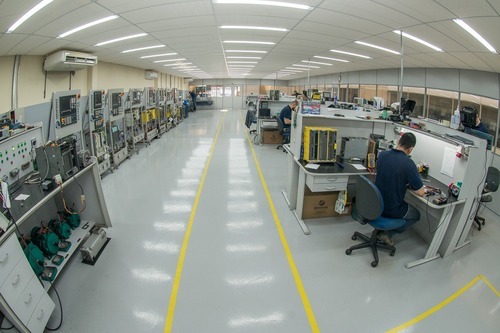 Located in Cachoeirinha (RS), since 2007, Versatronic Sul provides corrective and preventive maintenance services to electronic equipment and CNC machine motoring and other industry fields. It has more than 700 customers in Southern Brazil, and its policy is investing regularly in technologies to meet market requirements, assuring machine return reliability and correct operation.